APPLIANCES from Symbister, Brae, Hillswick and Lerwick were still at the scene of a house fire in Brough, on the island of Whalsay, on Thursday evening. 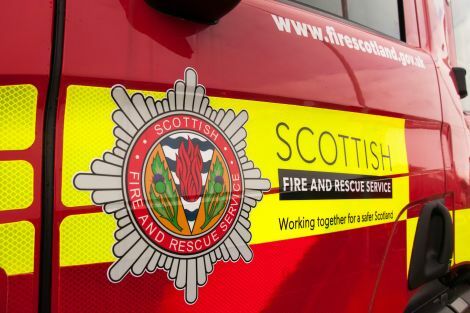 A spokesman for Fire Control in Dundee said a short time ago that the fire had been declared out at 7.10pm, three and half hours after emergency services were alerted. The extent of the damage to the property has not been revealed, though the house had been described as “well alight” when the alarm was raised. Fire fighters used six sets of breathing apparatus, two hose reel jets, thermal image cameras and other small gear to tackle the fire. Everybody in the house has been accounted for.